Places to Visit Stuff and Things, Our Houston top 10. Stuff and Things, Our Houston top 10. 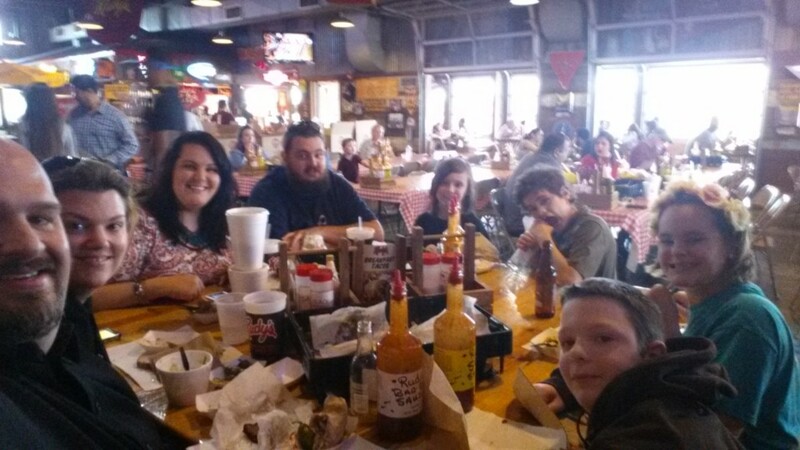 We spent a week in the Houston area, this includes Galveston and Kemah. Everything we did was free or on the cheap. Our net cost for Houston was about $300 plus our standard grocery budget. This includes $195 for the RV park, $75 in fuel (one tank while driving around), $8 in parking. Not a bad week budgetarily speaking . We also had a great time exploring the area and hanging out with some friends that we had never actually met in person. As far as the trip is concerned it was a great week! 10) Gallera and the Wall of Water – This is a combo only because of parking. We parked our truck in the Galleria parking lot because it had sufficient clearance for our vehicle and even then, it was close! The clearance seemed better than the visitors parking for the the tower and the wall of water. That being said they are only a couple of blocks away from each other. Galleria was a fun place to people watch and listen. Houston is a major international city and everyone shops at the Galleria uptown. The stores range from high end designer to h&m and other low cost mall stores. 9 Tiki Island – Not a major stop, and I’m sure people there would rather I not post this, but tiki island is an interesting place. There is an area to camp and a bar on the way to the entrance to the small town, then a town full of houses on stilts. (big houses on stilts with water running to (nearly) every house – I can only think of one or two properties that weren’t on the water. Everyone had a dock and boat. half retiree and vacation homes the boating community is kind of cool. There are houses for sale there, ranging from 200k for a fixer upper to a million and more. 8. Staying on the Gulf. Everyone keeps telling us we were lucky, the weather is warm and the rain took a break. Apparently the weather is only this nice a few months out of the year between rain in the winter and the excessive heat of summer. Our average day 65 to 75 with little rain showers here and there. The normal is in the 50’s … Most of the country is frozen right now so even if we hadn’t lucked out on the weather, it would have still been decent. Add to the warmer weather the ocean and what else could you want. 7. Art – There is a lot of art as is expected for a city the size of Houston. From sculpture gardens, art galleries, public art and more. We ran out of time for the beer can house and the car art museum, but we did enjoy our time at the skyscape and seeing some of the other art around the city. 6. The Ferry in Galveston. There is a ferry run by the Galveston Department of Transportation that is free for both pedestrians and vehicles. These ferry take almost any size vehicle, from motorcycles, to busses and even trucks with trailers. We may have even been able to take the 5th wheel on it! It was peaceful on the way out. Unfortunately for the rider in the ambulance there was an ambulance that boarded the ferry on the way back from bla bla island. The return trip was fast, about 2 times faster than the trip out – I wish we would have thought to pull up the GPS speed tracker thingy to see how fast we were going…or even taken a few pictures, it was a bit intense. 5. 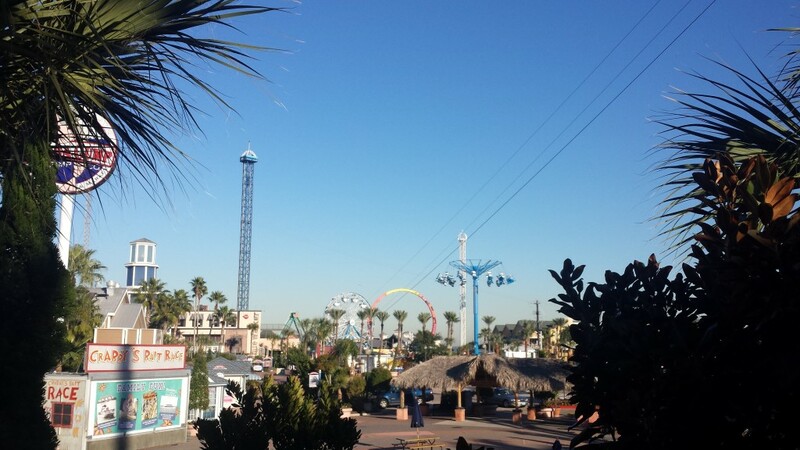 Kemah Boardwalk – There is a section of Kemah called the Kemah boardwalk. There are a few big name restaurants, some small shops and amusement rides here. It was fun feeding the fish but I think the birds jacked all the foodstuffs before the fish got any. The whole place is built on a boardwalk that is over the Galveston bay, which is a part of the gulf of mexico. An interesting tidbit about the area it was build over, the entire section of that bay is only 6 to 12 feet deep except where they built the channel for the large ships to head to Houston, there it’s 45 feet deep. 4. Architecture in downtown Houston. Some massive US headquarters are station here, all with their unique buildings and designs. Big Oil, Big buildings. 3. Houston Tunnels – Houston is another texas city with underground tunnels and sky bridges downtown. The tunnels are about 6 miles and well maintained. Unlike dallas the city has embraced the use of the tunnels and the employees and city workers that frequent them are cheerful. 2. Galveston Bay and the Gulf Coast – The beautiful weather and the ability to drive out on the beach. We tailgated on east beach, and walked out to the ocean walls where many people were fishing. The water in the bay is a little dirty, thanks to the Mississippi river, there are also heavy currents at that end so swimming is prohibited. There are swim beaches though so worry not. The water was a little too cold without wetsuits so you’ll not see pictures of me in my swim trunks – yes yes you are welcome. 1. Good friends we met in person for the first time (almost 20 years in the making). It’s a long story but when you live in kansas, as my wife did growing up, you have few choices when it comes to the people you know. Being part of the first online generation, she made some friends (and met her husband … me duh) through online interactions. Some of those interaction were … interesting … and others were good. This was a good one.